There is a old story. Every time people had some thing hard to say. They would find a hole in a tree. And share their secret to the tree hole. So that the tree would keep their secret forever. Do you feel it’s difficult to communicate with others? Are you shy? Do you spend a lot of time on social networks, but without ever connecting and communicating with yourself? Say “I love you” to your partner. Practice saying “I’m sorry” to your best friend. Record a feeling or thought for yourself. Speaking into your phone is cold and sterile...but the Whisper Pillow is fun and unique .... it allows you to be interactive with yourself anywhere you are at any time. 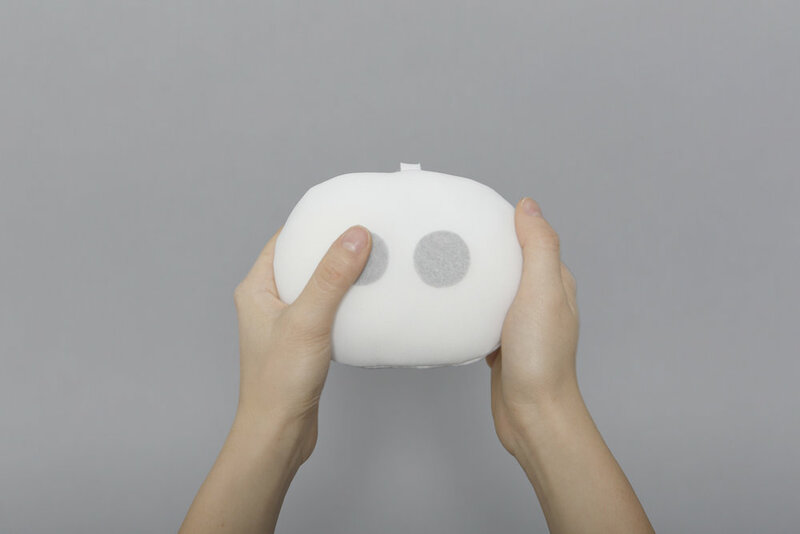 Speak into Whisper Pillow to record your voice with a message of up to 90 seconds. Listen to the recording. Every time you input your voice the last recording will be deleted. Say “I love you” to your partner. Practice saying “I’m sorry” to your best friend. Record a feeling or thought for yourself. The small size allows Whisper Pillow to be portable and can be used anywhere — clip it on your backpack to take it to work, home, or put it in your suitcase for a weekend trip away. Even use in public spaces. Speaking into your phone is cold and sterilebut the Whisper Pillow allows you to be interactive with yourself anywhere you are at any time. Whisper Pillow is a fresh experience to try!